Oakwood Retreat is located on a private, wooded three acre lot in northern Lakeville, MN overlooking a peaceful pond. While you’ll feel like you’re away from it all, you’re just minutes from all the conveniences of the south metro, including various crafting stores. Why waste your important crafting time traveling hours to a retreat! 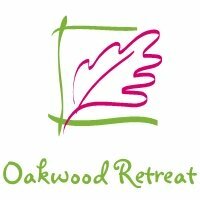 Oakwood Retreat provides comfortable accommodations for 12 individuals. There are twin beds for each guest: no bunk beds and no sharing. With two and a half bathrooms, there is ample room for everyone. With no stairs to navigate, you can unload your supplies directly into the crafting space. Each crafter has access to a 5 foot table and adjustable, cushioned chair. Please feel free to contact us with any questions at april@oakwoodretreat.com. As we get closer to opening, we will update this site with more details and pictures. We look forward to your stay with us!